LDAP is one of the most popular authentication protocols. OpenLDAP, the open source solution, is an extremely popular directory service. Despite its popularity, however, LDAP is extremely painful to implement and manage. Many IT admins and sys admins have experienced the frustration firsthand. 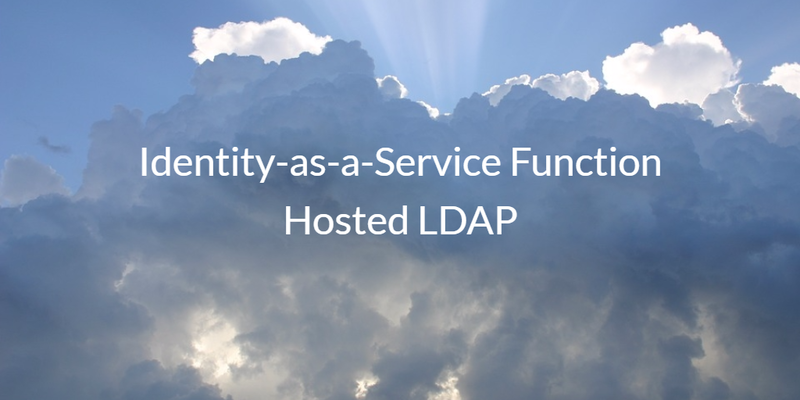 So modern, cloud-forward organizations are turning their attention to the Identity-as-a-Service function hosted LDAP as a way to outsource and simplify the use of LDAP. Directory services emerged in the 1990s as an important part of an organization’s IT infrastructure. This was largely driven by the fact that as the network became more important and the world started to use more applications, IT needed a way to control user access to the IT infrastructure. Tim Howes, a JumpCloud® advisor, and his colleagues invented the LDAP protocol that has formed the foundation for modern identity management. OpenLDAP is used by IT organizations as their directory services for mainly Linux and Linux-based applications as well as other similarly more technical platforms. OpenLDAP became known as an alternative to Active Directory and is often hosted on-prem or in data centers. Since it is open source and highly flexible, it is a time-consuming chore for IT admins and sysadmins to manage. Connecting Linux devices to LDAP is generally straightforward. macOS and Windows machines are different stories. They are extremely painful, if not next to impossible, to connect to LDAP. Applications often leverage different parts of the LDAP spec, thereby complicating the integration and subsequently the authentication process. However, LDAP is an ideal fit for MySQL, Docker, OpenVPN, and various other technical applications. Many IT organizations have wondered about the availability of a hosted LDAP solution. The idea was to deliver it as a SaaS-based service similar to how other infrastructure solutions have been delivered. The provider would manage the LDAP infrastructure while the customer could just point their application or system to the cloud LDAP platform. There is no infrastructure for the IT organization to install, configure, and manage. With a web-based console, IT can easily add users and permissions without having to customize OpenLDAP or write code. Ongoing support and integration help is available from the Identity-as-a-Service provider, too. Luckily, hosted LDAP does exist. Also known as LDAP-as-a-Service, hosted LDAP is delivered by Identity-as-a-Service and is a key function of that platform. Drop us a note to learn more about how you can leverage a cloud LDAP solution delivered as-a-Service. You can also give it a try for yourself. Sign up for our Directory-as-a-Service® platform where you first 10 users are free forever. If you need more users, sign up for our JumpStart program. That way, you can try the entire cloud directory service with unlimited users for 30 days.